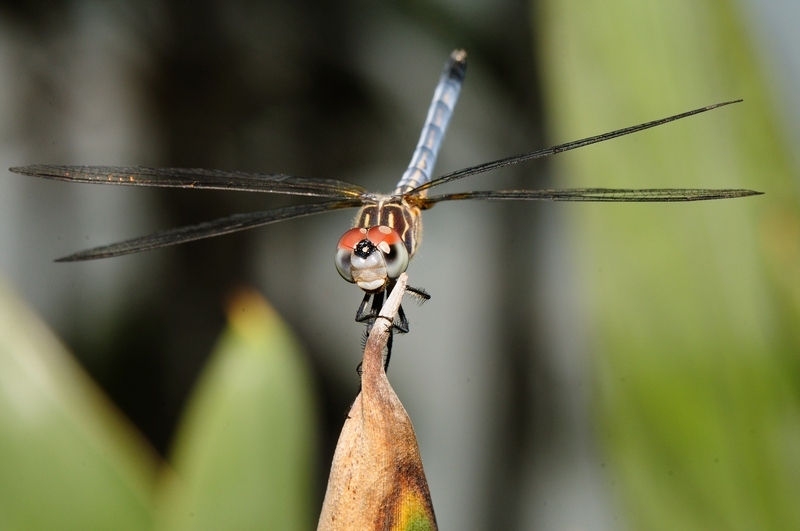 The Florida wetlands are made for dragonflies and damselflies. They are both referred to as Odonata and look very similar at first glance and in flight. There are some differences though. The dragonfly has eyes that are very close together and touch on the middle line of the head. 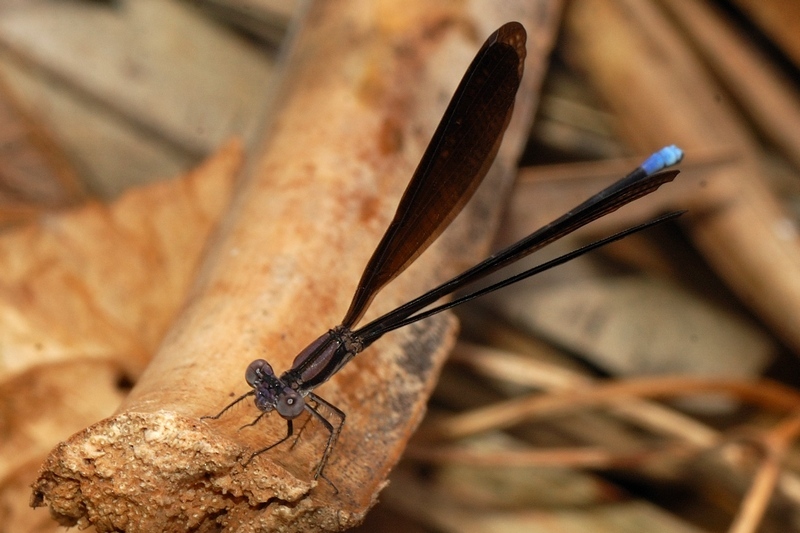 The damselfly has eyes which are seperated and placed on the sides of the head. There is a difference in wing position at rest. The dragonfly holds it’s wings away from it’s body while the damselfly holds them close and often parallel to the body. The picture on the left is a Blue Dasher Dragonfly, the right is a Variable Dancer Damselfly. This entry was posted in Bug and tagged Photography. Bookmark the permalink.